Is The Yellow Pages A Money Machine Or Fools Gold? This article is a brief discussion about usage patterns and investing in the Yellow Pages (print) directory. Itâ€™s something of an institution for many small business owners, and I know that many owners out there are terrified at the idea of not running the biggest possible ad they can afford. So far though, Iâ€™ve never spoken to a business owner who could substantiate their belief in the power of the Yellow Pages to generate business. The normal answer Iâ€™ve been given is â€˜yes it works, no I donâ€™t know how wellâ€™. Considering the pricing, I would hope it works damn well! Itâ€™s easy to drop $20K+ on a few inches of paper. After listing a number of different services, it asked them to prioritise the information sources they used when deciding who to use (i.e. Whereâ€™s the first place you would look, second place etc). Asked them to record when was the last time they had used a given information source. It was presumed that each point of reference would only be used if the preceding reference did not provide a satisfactory answer. This means that if youâ€™d had a past experience you were happy with, you were unlikely to ask a friend. I realise that itâ€™s possible for a prospect to â€˜skipâ€™ a point of reference or be swayed by a particularly appealing advertisement, but this behaviour is way outside the scope of what I was doing. 1. â€˜Past experienceâ€™ (unsurprisingly) was by far the most common first point of reference. In my opinion, these results reflect the relative value and trust that people place on information sources when looking to purchase a service. â€˜Good Serviceâ€™ is a very subjective thing, and personal opinions are far more important then advertising messages when weâ€™re deciding where to buy. These results (for me) put a new perspective on the value of the Yellow Pages directory. It strongly suggests that your $5-$10K+ investment only has a chance of being looked at if the prospect exhausts other more reliable sources of information. Then, they have to notice you from amongst a crowd of similar providers in a directory that is not even strictly alphabetical. Thatâ€™s a lot of cash just to be in one of the last places a prospect will look. I tested this across a range of different services, and found this to be true for most industries. However, there were a few exceptions. Businesses that provide emergency services and other situations that donâ€™t lend themselves well to word of mouth or are too localised for the Internet, may benefit significantly from a strong presence in the directory. These are discussed in detail at the end of this article. Do you actually measure your response rates from the Yellow Pages? â€¦Or even better, have you kept a record of the number and value of sales it generates? I have yet to come across a small business that effectively measures this. Many people take it for granted that it â€˜just worksâ€™. Ad pricing is different depending on category, and I donâ€™t have the exact figures handy, but to get a quarter page sized advertisement with a bit of colour, youâ€™re probably looking at around $7500 – $10 000(AU). If we assume a 35% gross profit margin in your business, your advertisement is going to need to bring in $21,428 â€“ $28,571 in annual sales just to pay for itself. If your ad in the Yellow Pages is a major part of your annual marketing budget, spend 3-4 weeks to test its effectiveness. Find out how they discovered you, and write down how much they spend. You might be surprised. But they have HUGE distribution right? Whilst itâ€™s hard to dispute independent web stats, I still have some significant doubts about the accuracy of the print usage figures. Combined, these figures equate to 1 in 2 people in Australia using their service every single month! This very strongly contradicts my own research, and isnâ€™t supported anecdotally from the people Iâ€™ve spoken toâ€¦ but Iâ€™ve been wrong before. When was the last time you used the Yellow Pages (print) directory? *while this was not the subject of the survey, anecdotally it seems B2B prospects are more likely to use the Yellow Pages then average consumers. On that note, when was the last time you heard about a small businessâ€™s growth â€˜explodingâ€™ after an advertisement was placed in the Yellow Pages? It doesnâ€™t happen, because it doesnâ€™t work like that. Itâ€™s a highly competitive environment, the playing field is uneven, and the consumers its attracts are either looking for a deal, or donâ€™t care who you are â€˜cause they want it fixed yesterdayâ€™. I donâ€™t doubt that it generates traffic, but I question the quality of the referrals Vs word of mouth referrals, and also the risk presented by the size of the investment you are required to make. If Google said to you, â€œGive me $10K, I promise to put you in front of customers, but I canâ€™t tell you who or how many, or even if they like your ad, AND you can only change it once a yearâ€ would they be a billion dollar company today? In my opinion, the value presented by the Yellow Pages (print directory) is very questionable for a small business. Iâ€™m not saying that you should blindly go and dump your ad… but if you invest a large amount of money in the print edition every year just because thatâ€™s what youâ€™ve always done; take a moment to re-evaluate your investment. Do some research, and determine if it *really* works for you. Most businesses will be better off if they invest in â€˜word of mouth generationâ€™ by improving your service quality, building a stronger customer relationships, increased branding, and implementation of referral incentives. Look after the customers you have and give them a reason to talk about you. Youâ€™ll be rewarded with far more growth then a phone book can deliver. I’m a Canberra based entrepreneur with a passion for effective management systems and customer service delivery. I’ve started doing some small business coaching, and my blog is dedicated to discussing the issues, tools, and trends that are relevant to me and hopefully other small business owners. 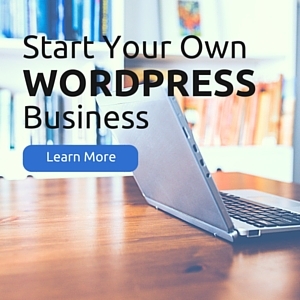 Yaro Starak is an Internet business and blogging expert. He runs the successful Internet business blog - http://www.entrepreneurs-journey.com and teaches about how to make money from blogging at http://www.blogmastermind.com. Hey.. I like the post here – I’m currently considering yellow pages advertising for my business and you brought up some good points to consider. Thanks for that! From my understanding it comes down to the fact that putting an ad in the yellow pages is relatively easy. Creating a community of customers that actively spread word of mouth about your company is a challenge – I’m actively trying to take this challenge onboard and apply word of mouth marketing for my business, so any more tips on this issue will be very interesting! Glad you liked it Paul. Hopefully Hugh the author of the post will see your comment too. Thanks very much for your feedback, I’m glad you enjoyed reading it. I’m new to blogging, so still trying to find my feet. It bothers me how institutionalised the Yellow Pages is, and how very few people ever think to question its effectiveness. Keep me posted on how you go with your plans for word of mouth generation, viral marketing is a fascinating topic and I would love to hear how you go! I’ve got an article on exceptional service going up this week, which you might find interesting. If you’re keen for ideas to help word of mouth generation, I would recommend reading “All Marketers are Liars” and “Purple Cow” by Seth Godin. I read these recently and I was very impressed with them. Check out my blog for the reviews. Yaro, thanks again for publishing my article. Excellent article. I think a lot of people are now re-thinking their use of Yellow Pages ads. They are probably still necessary to a point, but I use these ads the same way I use Google ads…not to sell my services, but simply to get people to visit my Web Site. That is where I go for the sale. I used to own a small wedding planning business and used Yellow Pages advertising. During my first couple years in business I could not afford to buy ad space and simply had the free ‘single-line’ listing within the directory. When I was finally able to afford to purchase a small ad, I was disappointed to find that my ad didn’t generate any additional calls than my single-line listing did. Needless to say I went back to the free listing the next year. For me personally when I’m looking for businesses in the Yellow Pages I tend to go first to the listing rather than the big splashy ads. I know how much those ads cost and I know that those businesses have to pay for it somehow — and it’s usually coming directly from my pocketbook. So I tend to do business with the “little guys” who just have a directory listing and not a big ad. Using the Yellow Pages really depends on the purpose of your business. If you are a local business, servicing local customers, etc. then it would be feasible, however if you are a web-based business it would not be a good idea to advertise in the yellow pages; it may be good if you want to target an area of which the yellow pages is distributed to even though there are better means — I would think — than that. Like I said, I havn’t tested my explanation or used any kind of metrics but it would be nice to see the results of someone who has. Wonderful post. It could have been broken up into several posts though. A very long post that took me around 15 minutes to go through. I tend to have the same way of doing things though on my own blog. I’ve been trying to keep to the point lately though. Excellent article, would refer to my knowns.